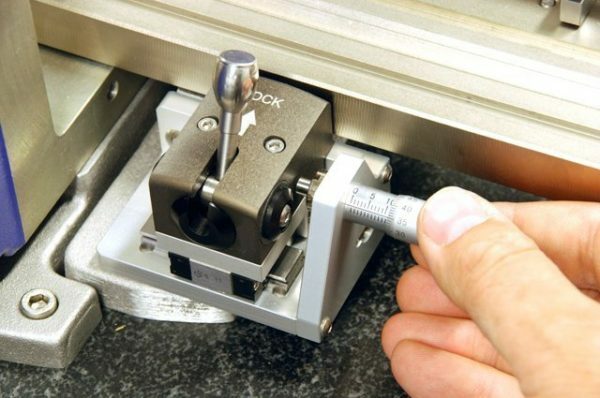 Meclab.X and Meclab.T are gauges for benchtop or offline measurement of diameter for pins, turned parts, drawn wire, dies, wire, fibre or extrusions. 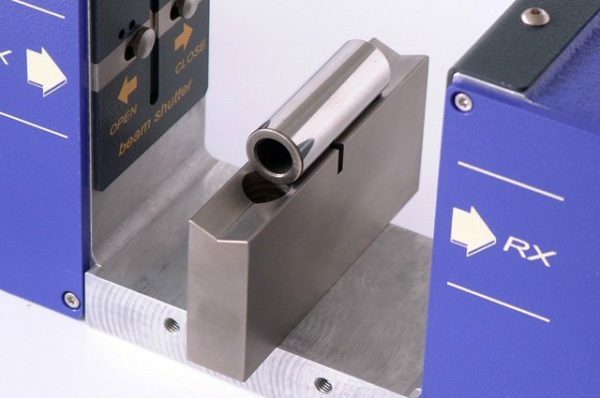 Described by manufacturers, AEROEL as an accurate and flexible instrument, Meclab provides efficient measurement of cylindrical components. The Meclab system is suitable for offline testing of diameter and quality control. 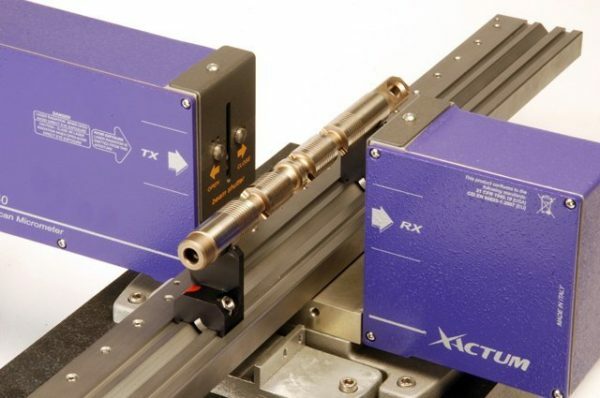 The Meclab.T has additional software for measurement and characterisation of tools such as drill bits, fluted parts, reamers, cutting tools. These checks can be done quickly and easily and independent of conditions or environment, thanks to the NO-VAR thermal compensation protocols. Meclab.X and Meclab.T come equipped with the CE-200 operator interface, with colour-coded display based on tolerances. 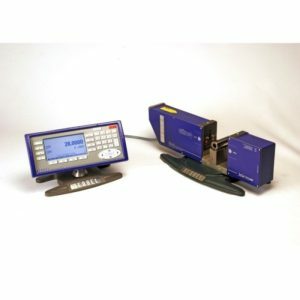 Scantron has more than two decades’ experience in online and offline measurement solutions for specific industry applications and across material types. 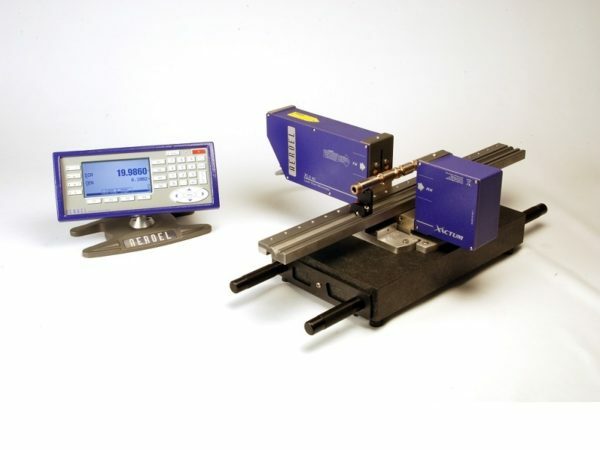 Contact us for more information about the Meclab gauge and other offline measurement options. 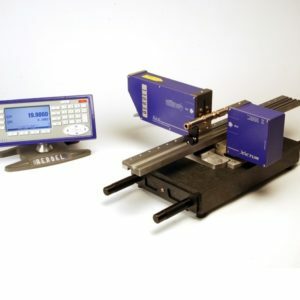 The S version of the Meclab offline diameter testing solution includes a flat granite base with a precision linear stage to mount the holding accessories and to move the part. 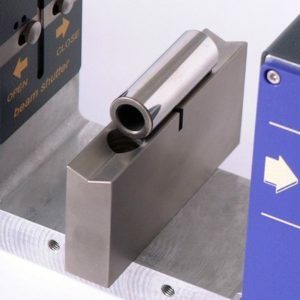 The slide can be 400, 640 or 820mm long with useful range 160, 400 or 580mm. In some versions an equipped base is mounted under the granite base, containing the electric and pneumatic supply/control circuits for the optional devices. 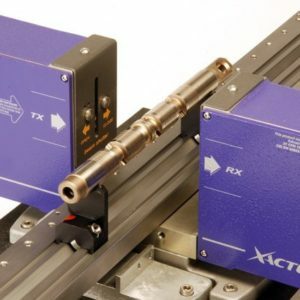 The SQ version includes the Quick-Fix electro-pneumatic pre-setting device, that allows quick slide positioning at the measuring positions. The SR version includes a motor driven device to rotate the part, with friction driving wheel and stepper motor. The S version includes a flat granite base with a precision linear stage to mount the holding accessories and to move the part. In some version an equipped base is mounted under the granite base, containing the electric and pneumatic supply/control circuits for the optional devices. 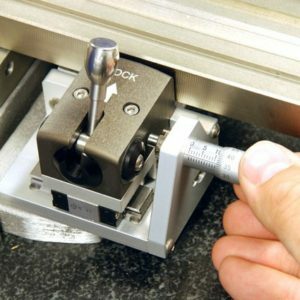 The SQ version includes the Quick-Fix electro-pneumatic pre-setting device, that allows quick slide positioning at the measuring positions. The SR version includes a motor driven device to rotate the part, with friction driving wheel and stepper motor.